I was very fortunate to Mix, Co produce and Engineer the last two Ace Frehley albums and in the process I have met so many incredibly talented people. During the second album we did together, ‘Origins Vol 1’ Ace covered many songs that influenced him and one of those was ‘Fire and Water’ by Free. This was wonderful news as I grew up a huge Free fan, Paul Kossoff is one of my favourite guitar players, he had such an amazing feel. So I was extremely excited to track this song at my studio! Matt Starr, former drummer for Ace who is currently playing for Mr Big played drums, Chris Wyse played bass and most excitingly Paul Stanley was to sing the song! 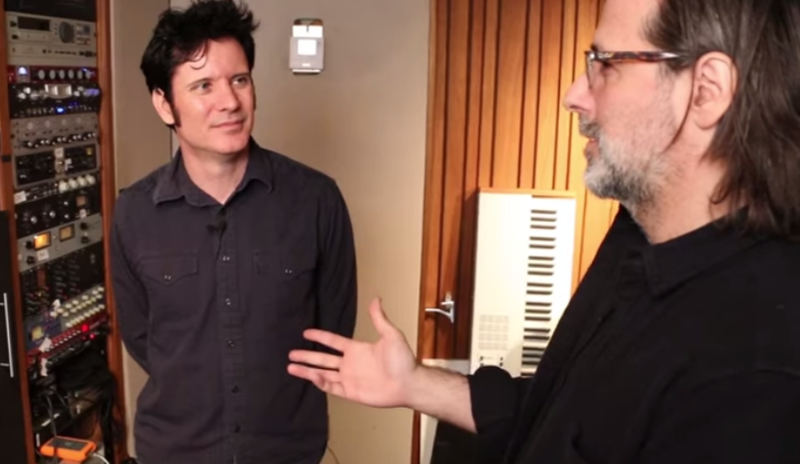 KISS and Paul Stanley’s Engineer is Greg Collins, Greg tracked Paul’s vocal on ‘Fire and Water’. He emailed to say he was impressed with the drums and where did I record them? I recorded them at my studio in my little live room with minimal mics, just goes to show you don’t need a huge amount of gear to create a great drum sound! Greg invited me to his studio to film and I was immediately impressed with his strong work ethic and his extremely well organised use of the space he had! Greg Collins is a wonderful talent, extremely eclectic musically and incredibly easy going, he gets amazing performances out of the artists he works with! Check out the latest Podcast with Greg!